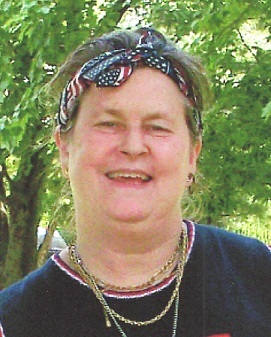 Melissa K. “Missy” Woolsey, age 56, of Loogootee, Indiana, passed away at 12:34 a.m. on Sunday, June 17, 2018, in Memorial Hospital and Health Care Center in Jasper, Indiana. Missy was born in Jasper, Indiana, on April 4, 1962, to Harmon and Joanne (Fromme) Woolsey. She was graduate of Jasper High School. She previously had worked for the Nancy Ruth Habig Estate. She was also a caretaker for her mother for several years. She was a past American Gladiator and was on their tour, where she was known as Missy “Maxi” Woolsey. She was a member of the Ladies of the Jasper Moose. Missy enjoyed spending time with her dog, Angel, and taking care of her yard. Surviving, companion, Sharon Schmitt, Loogootee, IN, five brothers, Michael K. Woolsey, Jasper, IN, Mark K. Woolsey, Chicago, IL, Marlon K. (Rosemary) Woolsey, Jasper, IN, Monty K. (Lisa) Woolsey, Fishers, Max K. (Tammy) Woolsey, Fairhope, AL, her godchild, several nieces and nephews. Preceding her in death are her parents. A prayer service for Melissa K. “Missy” Woolsey will be held at 7:00 p.m. on Thursday, June 21, 2018, at the Becher-Kluesner Downtown Chapel in Jasper, Indiana, with burial to follow at a later date. A visitation will be held from 4:00-7:00 p.m. on Thursday at the Becher-Kluesner Downtown Chapel in Jasper, Indiana. In lieu of flowers, memorial contributions may be made to the wishes of the family to help with funeral expenses. Be the first to comment on "Melissa K. “Missy” Woolsey"